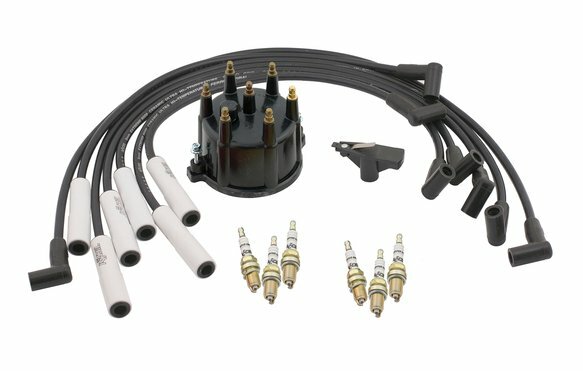 Tune up kit for Dodge truck and van with the 3.9L V6 Magnum engine. Everything you need to Super Tune Up your truck, van, or Jeep engine! The kits includes a high performance cap and rotor. A set of 8mm Extreme 9000 Spiral Core wires. This kit also includes the ACCEL classic copper core spark plugs to fire your engine up.